Highland Home is a single family home positioned on 12 acres of stone and wood covered cliffs overlooking the Hudson River. 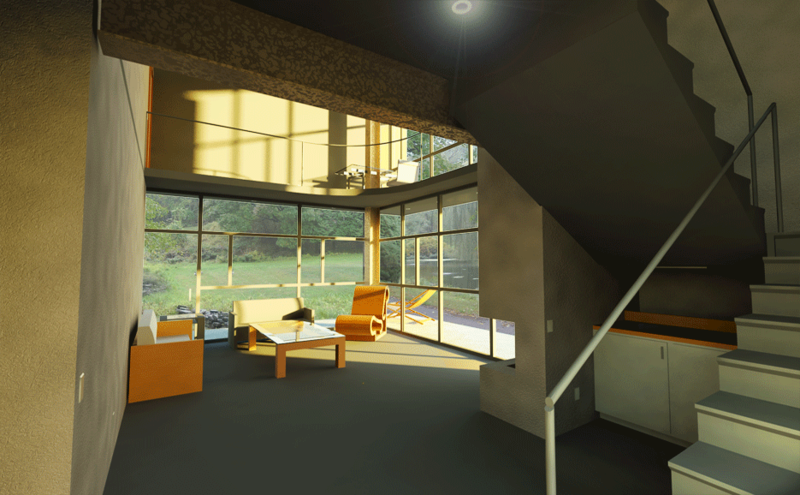 The Highland Home incorporated several environmental design features including passive solar and alternative energy systems to maintain year round comfort. The ground floor parking garage divided an indoor swimming pool groto at the base of a large stone that anchors one side of the home. Entry to second floor is through the studio with fireplace. The heart of the home is the kitchen that is positioned in the homes center adjacent to a the large community living room anchored on top of a large boulder. M.Arch Architects design considered the structural and wind loading on the systems of glass curtain walls, metal panels, and limestone walls. 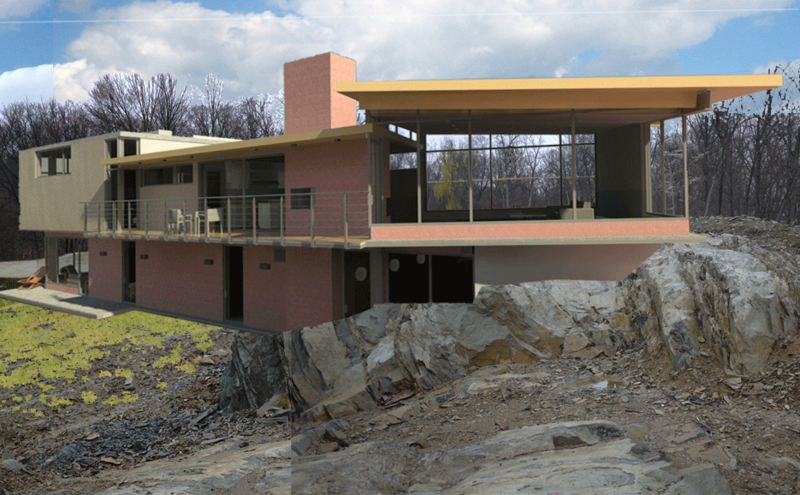 A contentiousness design decision was made to divide the house between public to the eastern side overlooking the river views and private spaces overlooking a contemplative grassy lawn,retention pond.